Alexandra Ballet is classically oriented and seeks to cultivate an appreciation for the art of dance as an essential ingredient in the life of the community. Alexandra Ballet raises community consciousness and appreciation of the art of dance through public performances. The repertoire ranges from traditional to contemporary and performances showcase original works, the restaging of classics by nationally known choreographers and the collaboration of professional guest artists. It also dedicates a portion of its time to presenting lecture/demonstrations for Scouts, as well as educational programs for young school children. 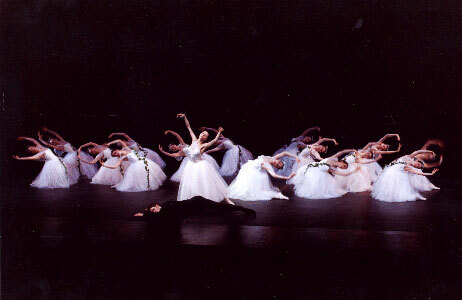 Alexandra Ballet has collaborated with professional organizations, including Saint Louis Symphony Orchestra, Dance St. Louis, and Chesterfield Arts. Alexandra Ballet is a not-for-profit organization and receives funding assistance from the Saint Louis Regional Arts Commission, Missouri Arts Council, and the Arts and Education Council of Greater St. Louis. Alexandra Ballet is a proud member of Dance St. Louis.